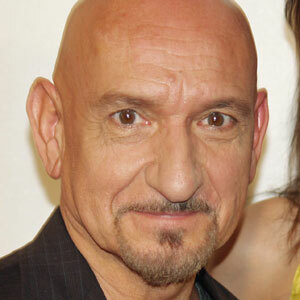 So what would you think about Ben Kingsley playing the villain in Iron Man 3? Me, personally -- I think it's a fantastic idea and a helluva casting choice. I rather enjoyed Kinglsey character in Suspect Zero so another villain-esque role should be right up his alley. Ben Kingsley is in final talks to play the villain in Marvel Studios and Disney's "Iron Man 3," but fans of the comicbook character will be disappointed to learn he won't take on original Tony Stark archenemy the Mandarin. Though insiders acknowledged Kingsley's involvement to Variety, Marvel declined to comment on the deal, and insiders denied that the character would be the Mandarin, a wealthy Chinese scientist and martial arts expert who, by backing the warlord who imprisoned Stark, was indirectly responsible for his creating Iron Man. Instead, Kingsley's character is involved in the spread of a virus through nanobots, given that "Iron Man 3" is loosely based on Warren Ellis' six-issue "Extremis" comicbook series first published in 2005. That arc -- which also heavily influenced the first "Iron Man" pic -- introduced a new origin story and focused heavily on nanotechnology. Still, the Mandarin character was widely suspected to be in play, as "Iron Man" and "Iron Man 2" helmer Jon Favreau had indicated an interest in tackling the character in the franchise's third installment. But Favreau has moved on and Shane Black is taking over the helm, as well as co-writing the script with Drew Pearce. Production begins in May, with lensing to take place around North Carolina. Robert Downey Jr. will reprise his role as Stark and Iron Man, with Gwyneth Paltrow, Don Cheadle and Scarlett Johansson also set to return to the franchise. The first "Iron Man" earned $585 million worldwide, while the sequel generated $624 million around the globe. Disney has skedded "Iron Man 3" for May 3, 2013. Louis D'Esposito will executive produce "Iron Man 3" for Marvel Studios, with Stan Lee and Charles Newirth. Marvel Studios' Kevin Feige will produce the pic with Avi Arad.